In her undergraduate studies at University of Oregon, Samantha double-majored in Journalism and Political Science with a minor in Spanish. She earned her Master of Social Work degree from the University of Southern California, where her internships gave her experience in the mental health, social services, and legal systems. Samantha then went on to earn her Juris Doctorate from Whittier Law School, where she was a Family and Children’s Rights Fellow. In addition to her background with Family Law, Samantha volunteers her time with the Legal Aid Society of Orange County. 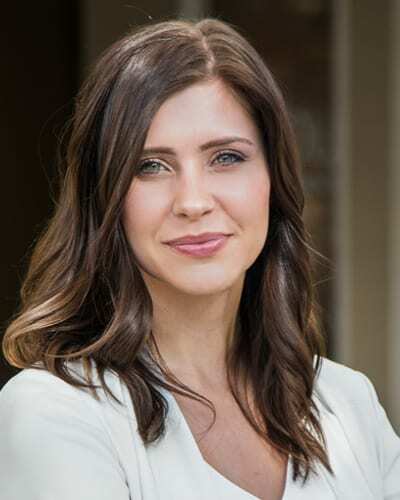 In her role at The Buncher Law Corporation, she is working on cases involving Family Law, Marvin Action (non-marital cohabitation), and Business Litigation. Samantha believes that’s it’s essential to build trust with each of her clients, and she does that by listening closely, maintaining an open-minded attitude, and taking a non-judgmental approach. Her focus on honesty, integrity, and dedication pairs perfectly with the firm’s core belief that truth is the winning argument for your case.